Today the kids and I went to Signal Bay Water Park. We met up with one of Mason's friends from Chesterbrook, Alex, and his family. Mason and Alex are still best buds and I wish we could get them together more often. Cute pictures! 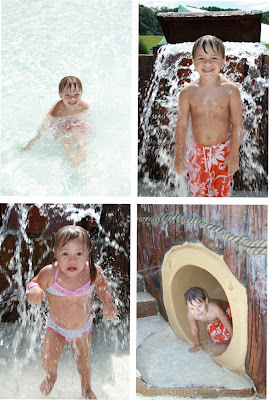 I love that one of Payton with the water drenching her! SO cute! Payton's bikini is just way too cute! They look like they had a blast!